Ultimately, a fully rehabilitated Iran could help bring stable and relatively high oil prices. 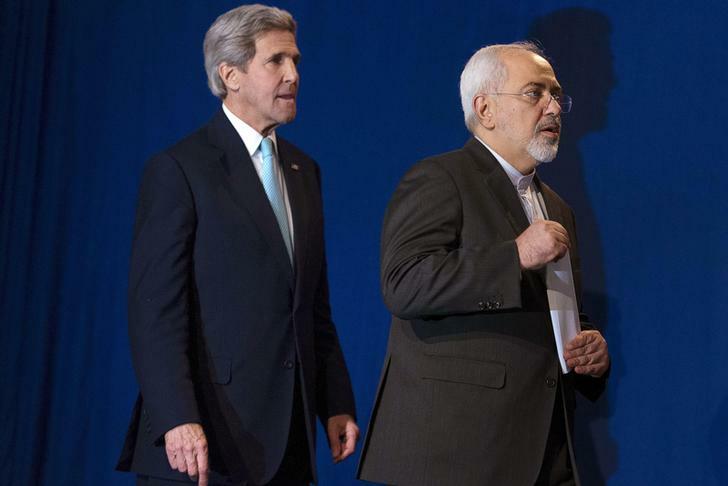 But the wait following an April 2 framework agreement on Iran’s nuclear programmes is likely to be long. And between now and then, the predominant direction of pressure on the oil price is likely to be downward. The stability hypothesis is simple. At some point, Saudi Arabia, Iran and some other producers will make commercial peace and defend a new equilibrium price. It will probably be below the too-generous $110 a barrel which prevailed from 2011 to mid-2014. But it will be well above the minimum needed to keep the world supplied for a long time, something like $30 per barrel. Between now and then, though, much has to happen. The deal has to be fleshed out and put into effect. Iranian oil production must increase, and wasteful domestic consumption, which BP’s Statistical Review of World Energy shows is currently running at about half of total production, must fall. More challenging still, the cartel mentality has to be re-established. That could follow a global outbreak of enlightened self-interest. Much more likely, though, is a prolonged period of price-sapping competition for market share, until co-operation looks like the least bad way to proceed. The Saudis are already sacrificing revenue for market share. The Iranians are likely to make the same decision, to produce more now for the sake of a stronger position later. They presumably want to recreate a modern oil industry to re-integrate with the world economy. After years of sanctions, they are not too afraid of some economic pain. As these relatively cheap producers push forward, the burden of adjustment will fall almost entirely on less favoured locations, from the Arctic to the South Atlantic. Exploration and development spending is already falling fast, but once capacity is in place, it takes years, or a much lower price, for production actually to fall. All in all, the Iranian deal reduces the already weak controls on the supply of oil. This looks like the beginning of a long bear market. U.S. Secretary of State John Kerry (L) and Iranian Foreign Minister Javad Zarif (R) arrive to deliver statements after nuclear talks at the Swiss Federal Institute of Technology in Lausanne (Ecole Polytechnique Federale De Lausanne) in Lausanne April 2, 2015. Iran and world powers reached a framework agreement on April 2, curbing Iran’s nuclear programme for at least a decade. The framework is contingent on reaching an agreement by June 30. All sanctions on Iran remain in place until a final deal. The price of a barrel of Brent crude oil fell from $57.10 to $54.95 on the day of the announcement. It rose to $58.12 on the next trading day. At 1200 BST on April 7, it was trading at $57.64.